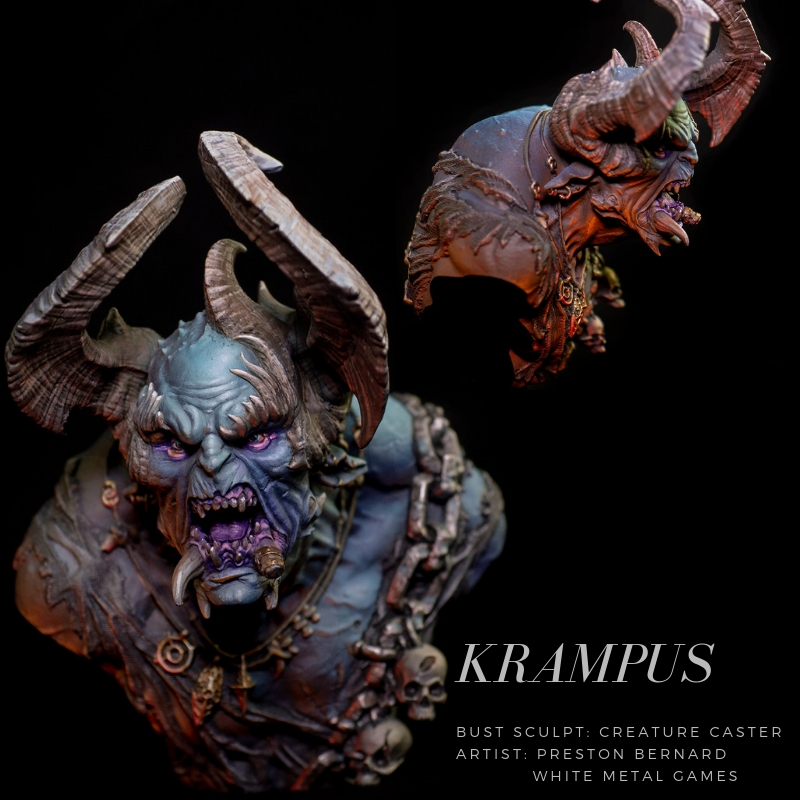 This bust is Creature Caster's first "go" at busts, and we fell in love! This project was completed on our Twitch channel by Preston Bernard. Great job. OSL is nice and subtle and adds a lot. Nice work on the skin. All the different nuances break such a large area of skin up and stop it from looking boring.